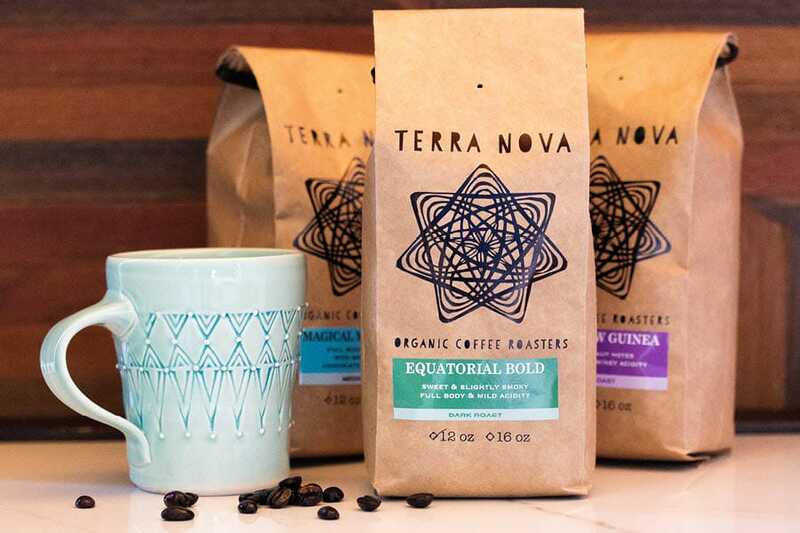 Who: Terra Nova Coffee Roasters is a family owned and operated, 100% organic and fair trade coffee roaster. 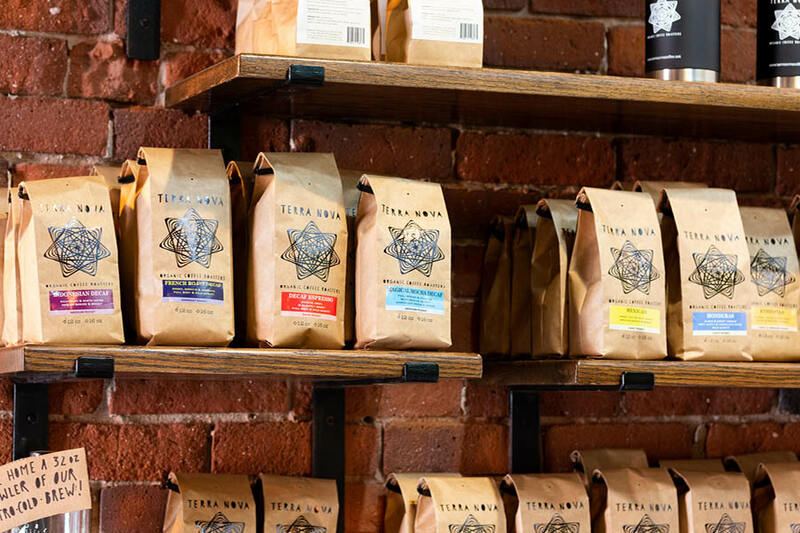 Problem: Their identity is mainly visible in one medium, their coffee packaging, and labels. 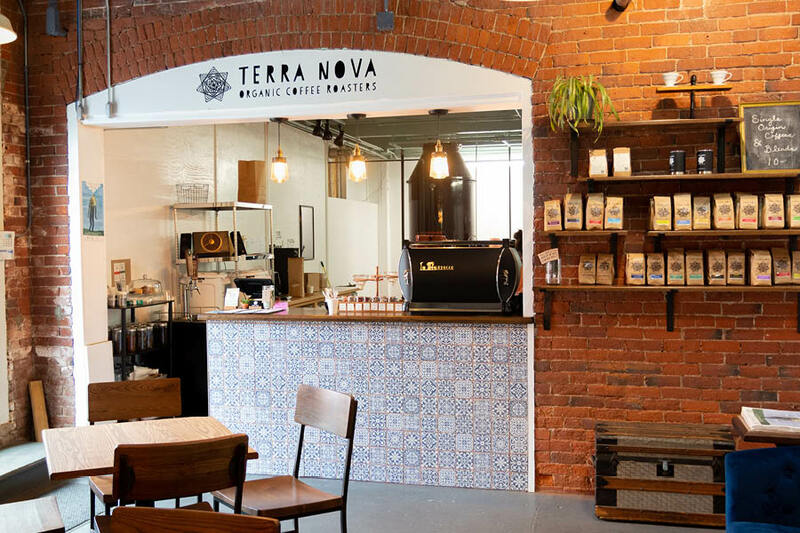 When moving into their new roastery and cafe, their brand needed to evolve into the new space and experientially in their interior design, signage, and print materials. 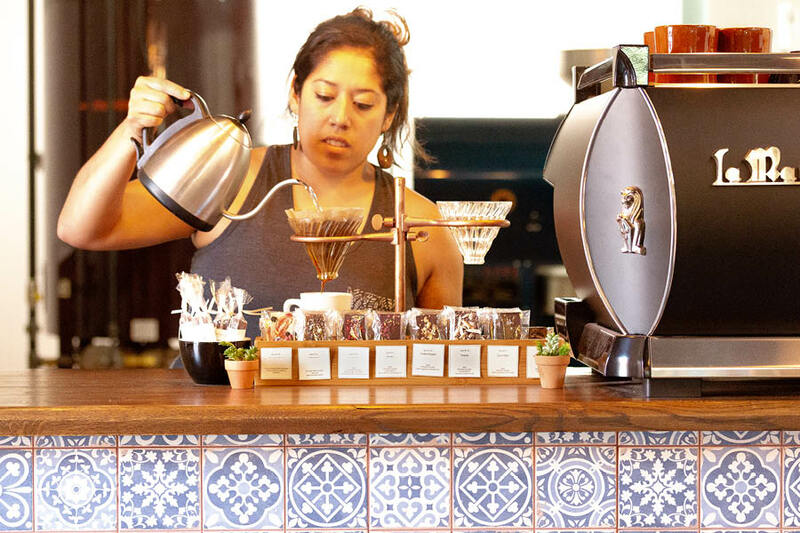 Solution: The new roastery shares the space of a mixed retail location in a turn of the century industrial building. 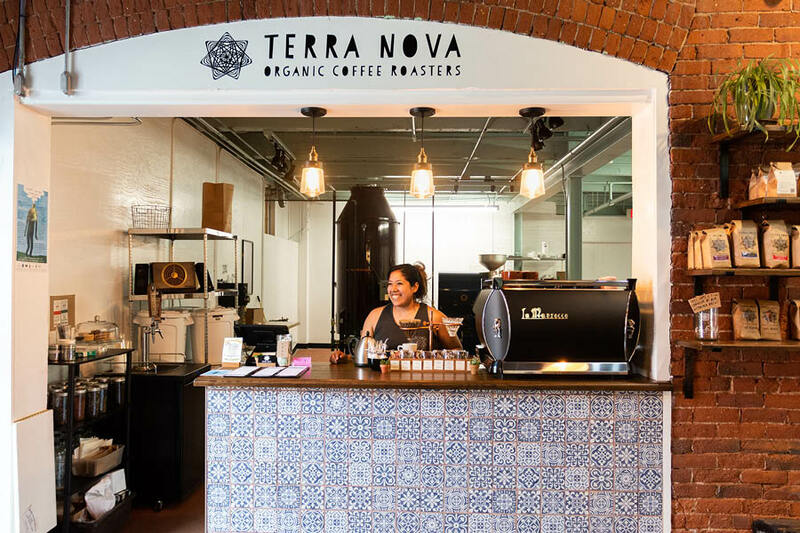 While the combined retail allowed for steady foot traffic to the roastery and cafe, we were intentional about dividing up the Cafe so Terra Nova would be distinguishable and set apart from the rest of the retail space. The spacial design captures a natural flow, circulation, and access routes for the consumer. 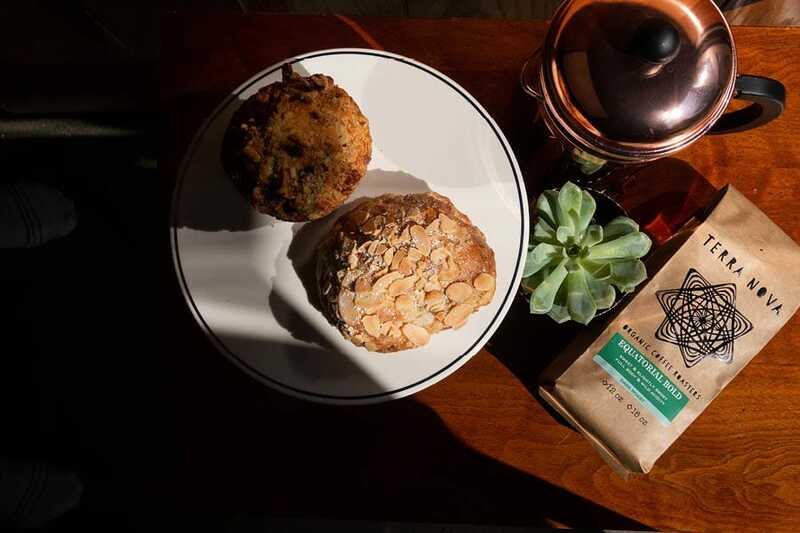 We designed custom banquettes, sourced lighting, furniture, and finishes to achieve the modern industrial spirit and refined experience this high-end cafe provides. By adding a new iconography to the print materials, it diversified brand’s visual language that remains playful and illustrative to the brand’s character. 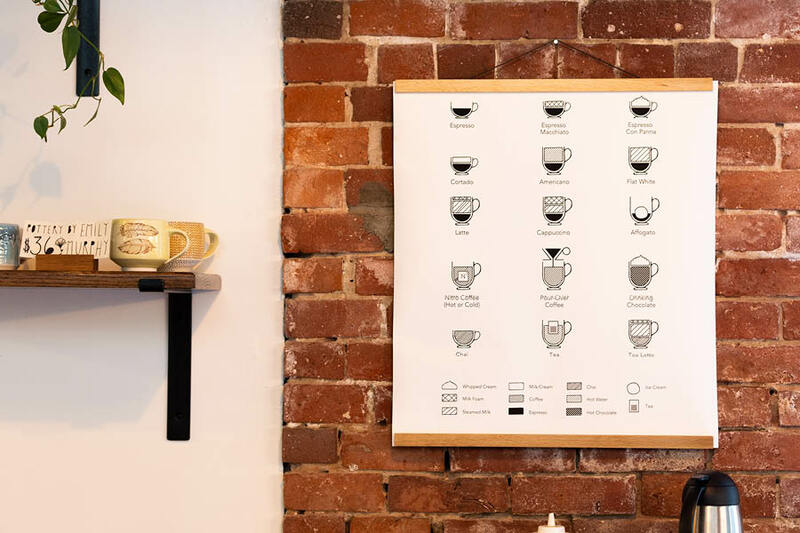 Strategically subdued signage allows for the cafe to feel airy and welcoming in this intimate space. Terra Nova came to NNC looking for a design consultant for various design projects. The relationship has grown into a partnership as we have seamlessly become a part of their team to design assets and expand their marketing endeavors.